The following are remarks by Stephen Lewis, Co-Director of AIDS-Free World, delivered at the 8th Women Ambassadors’ Luncheon A UN Agency for Women and the Democratic Republic of the Congo. When I served at the United Nations in the 1980’s, out of the, then, 159 Member States, there were three represented by women Ambassadors. One of them was the formidable feminist and quite wonderful human being, Dame Nita Barrow of Barbados. So highly did many of us think of Dame Nita, and so anxious was she to serve the world, that she was persuaded to run for the post of President of the General Assembly. She lost. She lost to a male foreign minister, of one-tenth her competence and capacity. She lost, in part, because she was a mere Ambassador and he was a foreign minister. But mostly — and everybody knew it — she lost because she was a woman. At the time, incredibly enough, there had not yet been appointed, since the beginning of the United Nations — a span of forty years — a single permanent Under-Secretary General who was a woman. Things have obviously improved. But we’re still achingly far removed from gender parity in the senior positions of the United Nations system. We have failed internally, we have failed externally, and no one should derive any special solace from the incremental progress over the years. Dear Lord, we come before you with heavy hearts and troubled minds as we pray for our brothers and sisters in DRC Congo. These are people who have now forgotten how living in peace feels like. Many children in this part of the world have known no other life except war and violence. And now they mistakenly think war is a normal way of life for they know no better. We hear, see and read about the horrible injustices that have taken root in this society. Fresh fighting in the violence‑has erupted in Kivu provinces leaving hundreds dead with hundreds of thousands left displaced while most are now in refugee camps. The immeasurable horrors that innocent people have to endure are too ghastly for us to contemplate. Your word says in Psalms 23: 4 that “Even though I walk through the valley of the shadow of death, I will fear no evil, for you are with me; your rod and your staff, they comfort me.” We pray to you Faithful God of Peace that you strengthen, protect and grant your people peace of mind all times and in every way, eternal encouragement and good hope. Hunger pains are biting as many families have fled their homes; youth and children’s lives have been disrupted and today they find themselves in refugee camps. 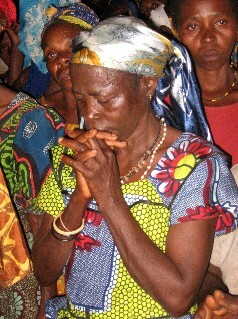 As many as a quarter of a million people are reported to have been uprooted from their homes – most of these homes have been torched and even in the unlikely circumstance of peace returning tomorrow, friends and their families like most people in this area have no home to return to, you are their only refuge Lord. We pray for guidance Oh Prince of Peace that you soften the hardened hearts of the perpetrators of this gross human rights violation. Our hope now lies in the proposed peace talks. We pray for success in these peace talks and wish peace once again returns to these parts of the continent. Merciful, loving God, hear the cries and the prayers of your people. In Jesus’ Holy name we pray and believe. Amen. In Liberia, thousands of women—ordinary mothers, grandmothers, aunts and daughters, both Christian and Muslim—came together to pray for peace, armed only with white T-shirts and the courage of their convictions. 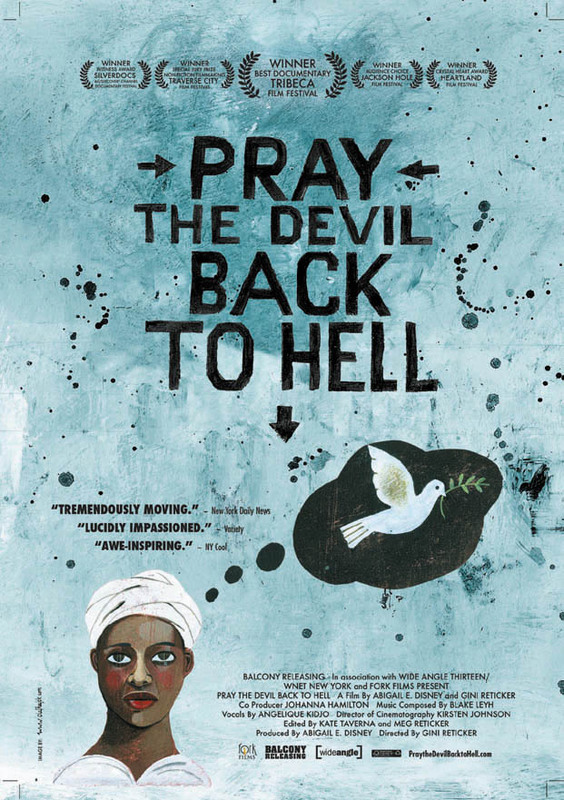 Winner of Best Documentary Feature at the 2008 Tribeca Film Festival, the film PRAY THE DEVIL BACK TO HELL chronicles the remarkable story of the courageous Liberian women who came together to end a bloody civil war and bring peace to their shattered country. A story of sacrifice, unity, and transcendence, Pray the Devil Back to Hell honors the strength and perseverance of the women of Liberia, and is a compelling testimony of how grassroots activism can alter the history of nations. This remarkable film shows us a faith-filled example of how powerful peacemakers can be when they join together, and it is coming to New York, opening on November 7, 2008 at CINEMA VILLAGE (22 E 12th St.; 212-924-3363). A special multi-faith screening will be held and free tickets can be reserved by sending an email to NewYorkRSVP AT gmail DOT com with the name of your organization and the number of tickets you would like to purchase. Tickets for other nights can also be purchased at the cinema.